ACKKK !! – Nice dress! Thanks, I made it!! Look at this! 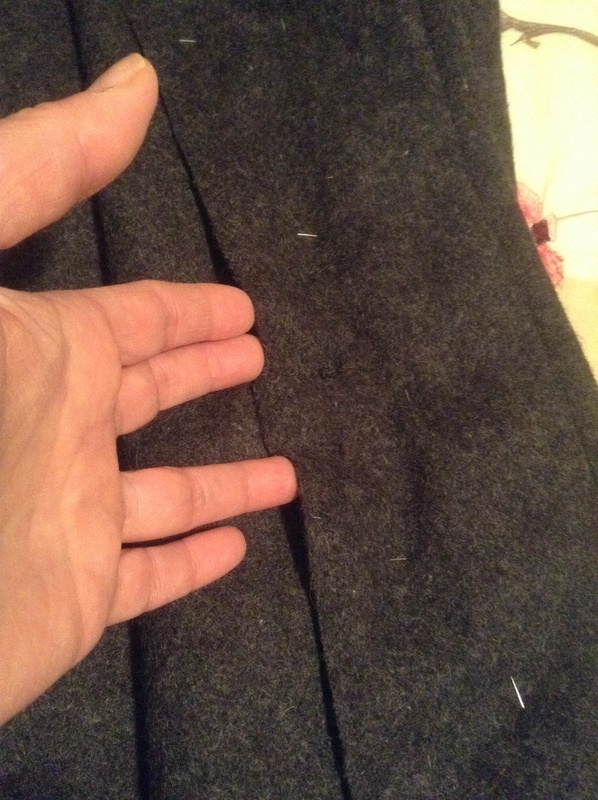 I have stared and measured, measured and stared, and finally I have gotten the placement right (and the nerve) to sew my toggle closures on to my pea coat! First one done! Oh… wait! I can’t sew the lining in now. There is no seam allowance to sew it to! 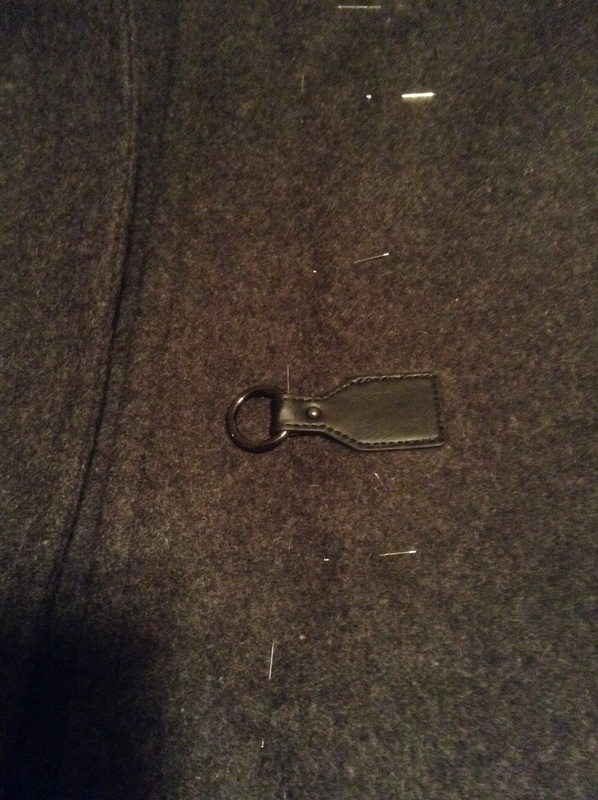 Sewing the toggle on has sewed it shut! I have to sew the lining in BEFORE I sew on the toggle closures! Or not sew the toggle closures to my facings! That’s what happens when I work without a pattern! 😖 Now I have to take the toggle off, sew in my lining, then sew on my toggle closures! Or make sure I don’t sew my toggle closures to my facings! Grrr! ACKKK!!!! I don’t think Simon cares. Yes, time to call it a night! Ohhh, that is going to be VERY NICE!!!! I have always wanted to sew something with toggles, but haven’t yet. Thank you from me and from Simon. Before I took the photo he was trying to EAT the pins! I had to cover them up quick, so he gave me a “look”. 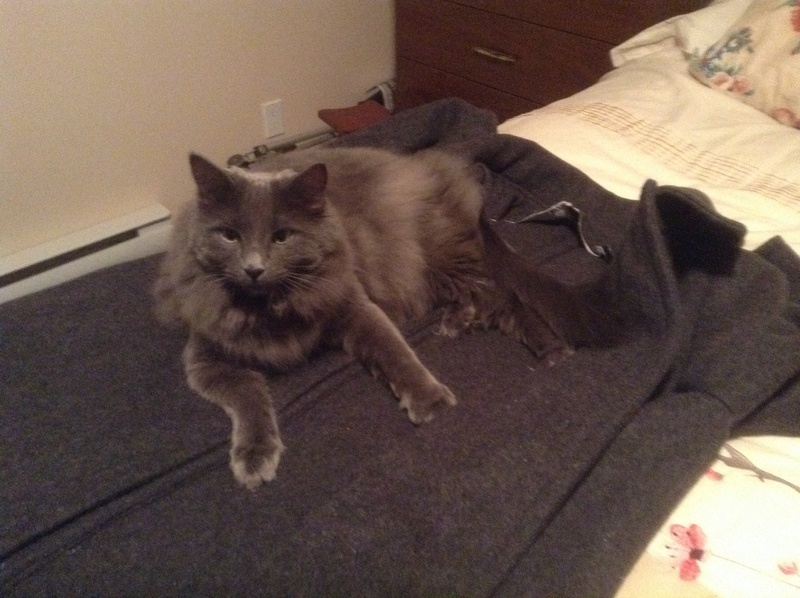 I am close to finishing so there will be more photos of my coat soon. Oh I hate it when that happens! Good luck.